Halifax has recently increased its current account switching bonus to £135, nearly double its previous reward of £75. This comes as HSBC prepares to withdraw its £200 ‘switch and stay’ offer, which has only been available since mid-September. Which? looks into what the Halifax account offers, and how the new switching deal measures up against others on the market. What will I get if I switch to Halifax? To take advantage of the £135 switching offer, you’ll need to apply to open a Halifax Reward or Ultimate Reward account, or switch to an existing Halifax current account. You can switch accounts using the Current Account Switch Service (CASS), which will mean agreeing to transfer your payment arrangements from your old bank to Halifax, and closing the old account. For this, you’re paid £50. Six months after you switch, you’ll get the additional £85, for a total of £135. To get the second bonus, you must deposit at least £1,500 into the account each month. You’ll also have used the account’s debit card to pay for something and registered for paper-free banking. And there are a few more caveats. You won’t be able to get the bonus if you’ve received another switching bonus from Halifax since 2012, or if the bank you’re switching from doesn’t participate in the Current Account Switching Service. If you’re switching an account from Bank of Scotland, you also won’t be able to cash in on the offer – but you will qualify if you’re a Lloyds customer, even though all three banks are part of the Lloyds Banking Group. Existing Halifax customers can also benefit from the switching offer. You can either opt for a new Reward or Ultimate Reward account, and close your existing current account, or you can close accounts with other banks and switch to your existing Halifax current accounts. What can you earn with the reward account? Aside from the switching offer, there’s more money to be had. As the name suggests, the Halifax Reward and Ultimate Reward accounts also offer additional extras. The Halifax Reward account doesn’t charge any monthly fees. If you pay in £750 or more, set up two or more different direct debits and stay in credit, you get paid an additional £2 a month. That means, along with the switching bonus, the account could earn you up to £159 in the first year. You can also earn up to 15% cashback on debit card purchases at certain retailers, including Superdrug and Morrisons. The Ultimate Reward account costs £17 a month, and in return you can get AA breakdown cover, family travel insurance, mobile phone insurance and home-emergency cover. The same terms apply for receiving an additional reward, but the £2 will instead be knocked off the monthly price of holding the account, so you’ll pay £15 a month, rather than £17. But it’s worth noting that these perks have been scaled back in recent months. While once these accounts once paid out £3 a month, giving an extra £36 a year, this was reduced to £2 a month from October. Existing customers are therefore losing out on £9 a year in rewards. Our news story from earlier this year goes into more detail about the change. What other current account switching bonuses are available? While HSBC has announced the withdrawal of its £200 switching incentive, there is still time to apply – if you act fast. The switching bonus is available on the bank’s Advance account, and new applications must be in by 25 November. While you’ll get more cash than if you switch to Halifax, there are some strict terms to adhere to. Firstly, you must be able to pay in at least £1,750 per month for nine months, or £10,500 over a period of six months. If the deposits are from your salary, you’d have to earn at least £21,000 to qualify. Secondly, you won’t get the money straightaway. You’ll get £150 after the initial switch, and an additional £50 after you’ve held the account for a year. First Direct has replaced its £100 cash switching offer with a choice of items such as a pair of headphones worth £199, a £150 Expedia voucher, an Amazon Echo Spot and much more. Depending on what you choose, the monetary value could exceed the Halifax switching offer, but you are restricted by the items on offer. This account requires a deposit of at least £1,000 within the first three months of the account opening, and you can’t have been declared bankrupt or registered for an Individual Voluntary Agreement (IVA) in the last six years. Unusually, there’s also a cash payout available if you decide to leave the bank within six months – you’ll be given £100 as a ‘goodbye present’. Switching to an M&S Bank Current Account can also get you a reward. There’s a £125 gift card up for grabs, plus reward points when you shop in M&S. If you deposit at least £1,000 a month and sign up at least two direct debits, you’ll get an extra £5 a month added to the gift card, which brings the overall bonus up to £185 over the first year. This total beats the Halifax offer, but the money can only be spent in M&S. Finally, sibling banks NatWest and Royal Bank of Scotland have a £125 switching incentive for new and existing customers, but it’s only available until 3 December. You have to apply to switch and make your NatWest/Royal Bank of Scotland account your main current account, closing the old one you’re switching from. Then, you have to pay in at least £1,500 and log in to digital or mobile banking by 7 January 2019, and you’ll receive £125 by 8 February. It’s not the highest-paying switching incentive, but it seems to come with the fewest terms and caveats. If you’re considering moving to a new current account, you should consider much more than just the bonus you’ll get. To make the most of the cash you hold in the account, look for a high interest current account. The Nationwide FlexDirect account, for example, pays 5% AER interest on balances up to £2,500. But, bear in mind that you must deposit at least £1,000 a month and the high interest rate only lasts for the first 12 months – so you might want to make another switch after a year. 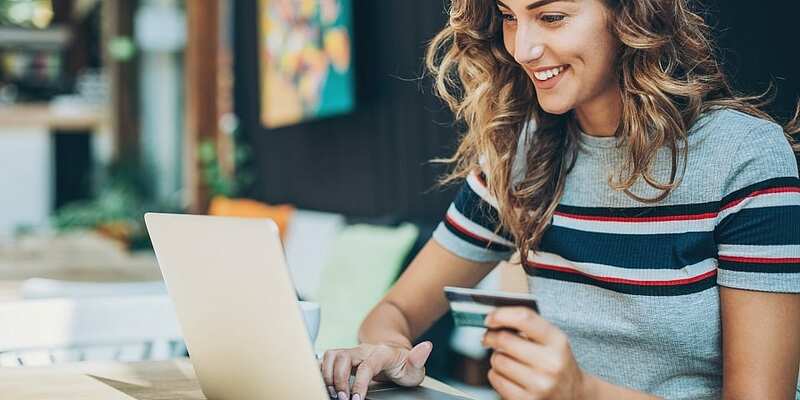 If you often use your current account for regular everyday purchases, you could consider a cashback account that rewards you for what you spend. One example is the Barclays Blue Rewards account. You can get up to £7 a month in cashback, and extra if you shop online through partner sites such as Gap, Clinique, Currys PC World and Waterstones. There are even more cash rewards available if you buy selected Barclays mortgages and insurance products. It’s not a free account, however. You’ll need to pay £3 a month and set up at least two direct debits in order to qualify for the perks. If you have a bad credit history and find it more difficult to get accepted for accounts, or perhaps you only want to consider fee-free banking options, you could try a basic bank account. One option is Nationwide’s FlexBasic account. It has a £500 ATM limit, can be opened online, in branch or over the phone, and can be opened by those who have a poor credit history and/or have been declared bankrupt – something many other accounts won’t allow. Plus, it’s the only account in our table that doesn’t charge a fee to make a payment via Chaps. Often this can cost £25-£30, so it’s a big saving if you need to make this kind of payment.